Craig Brunsden, MD of Axiz. With small, medium and micro enterprises (SMMEs) currently contributing a very small portion of the local GDP compared to other developing countries such as India, South Africa still has a long way to go to build this sector. 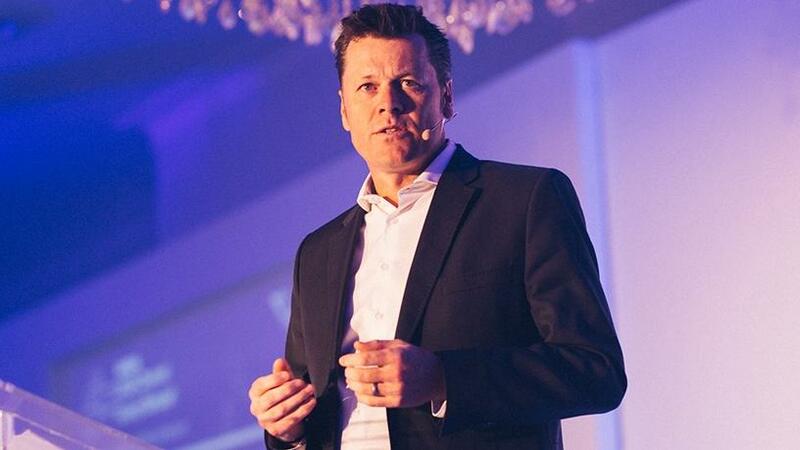 Taking place in Johannesburg for the first time, Experience Micro Focus Universe, brought to you in partnership with ITWeb, is now open for registration, and you're invited to join us as our guest for the day on Thursday, 6 September, Inanda Club, Sandhurst. Click here to register your interest. In addition, statistically, the failure rate for small businesses in SA within the first five years is between 40% and 50%. Enabling and growing the local SMME market will have a positive effect on the unemployment rate, as well as the sustainability of the South African economy. So says Craig Brunsden, MD of Axiz, who will present on SMME development in SA, at Experience Micro Focus Universe 2018, to be held on 6 September, at the Inanda Club in Sandton. He says Axiz is in a prime position to enable and develop SMMEs in SA as many have already registered with Axiz as resellers. "Building on the current SMME programme mandated by SITA on the Micro Focus Framework agreement, Axiz is looking to extend this to other vendors in its stable. This will enable the SMME to offer a comprehensive solution to the market," Brunsden explains. The two companies are also setting up an SMME programme that will be facilitated by Axiz, to ensure as many emerging partners as possible are able to benefit from the SITA Framework Agreement. "Each SMME is unique and has to be catered for accordingly," he adds. "The team at Axiz assesses each SMME individually to identify its specific needs. The programme gives SMMEs the opportunity to focus on growing the business by assisting in the various operational requirements that a successful business needs to function, such as marketing, HR, back-office and in some cases office facilities." This programme is not seen as a tick-box exercise but more of an opportunity for Axiz to make a significant impact on the growth of the local SMMEs in the ICT space, Brunsden explains. "The team at Axiz is planning to roll out the programme to more SMMEs and include the various technology sets available to Axiz partners. With more focus, there will be more success. "In order to uplift the SMMEs in South Africa, the business community needs to get involved and embrace opportunities to work with these smaller entities where they can provide guidance where needed, in order to address the larger socio-economic problems we face," concludes Brunsden.